There are no rares for Zeny. Just want to double check HaZe, is this a typo and it should be anti silence and freeze, or no? Thanks! so to confirm sir haze its silence and freeze not silence and sleep? Hello. I think the number of easter eggs are bugged again? There are many zeroes but you can check it. Thank you Haze and it's good that we are #1 in High Rate in RMS. All eggs are free for all. It would be too easy to just find eggs and instantly kill them and on to the next egg, considering how many eggs there. As you mentioned, if we wanted them to be first one to find them, they would have 1 hp. The last hitter gets the loot. We want to see people fight and compete for the same egg to see who gets the last hit because it adds another layer of difficulty and thrill. Is it frustating? Only if you keep seeing the eggs as finders keepers. I said it once and ill say it again. There are 30 maps and 50 eggs. Go to a map with the least eggs and hardest map name instead of the one with the most eggs and you may have less competition there. is there any chance to use the donation tokens for this rares?i think we deserve to use donation tokens to buy this kind of stuff. hoping here.. Thanks for the event will be renewing my review soon! more power! BTW Sir HaZe when will the race winners get their prizes? Their 50donation credits? HaZe, please return the NPC even for a couple of minutes. Some players were not able to exchange coins to items from the NPC. There was also no exact time posted when will the content be removed. :( Thanks! 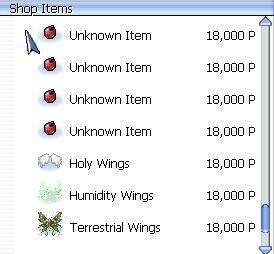 For the winners of the easter events made by our GM's, wait for Haze to place the chosen item in your storage. This may take a while, so be patient. It's 50donation credits right GM Freia for those top 1-3 on the race right? thank you again GM Haze !! Not that race GM Freia, im referring about this race.